This year’s IDDFL explores and celebrates various forms of athletic activities and body movements, from dance to gymnastics. The IDDFL’s opening featured performers from various dance schools. Assistant Chairperson and IDDFL organizer Nadra Assaf insists on the public’s participation in the workshops for free. 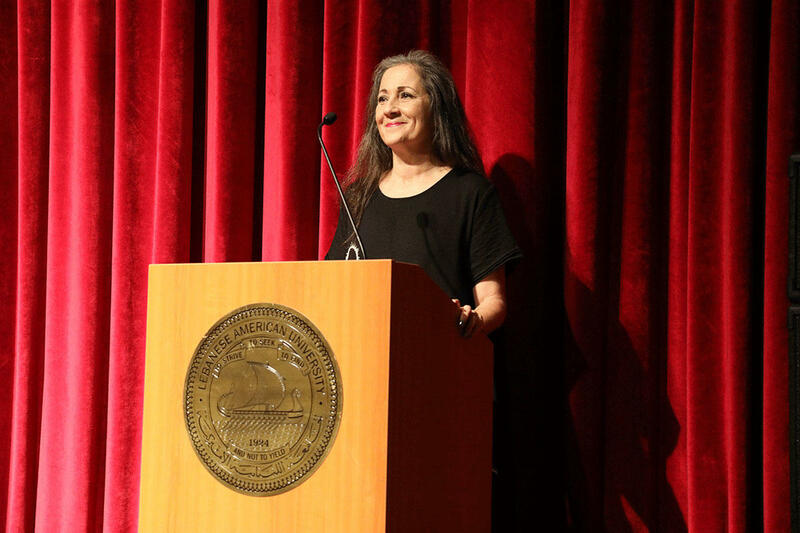 The Department of Communication Arts launched its 9th Annual International Dance Day Festival in Lebanon (IDDFL) under the theme The Rituals of Being on April 5 with a series of workshops and lectures by local and international artists in addition to performances. The workshops will culminate in a gala performance in Irwin Hall Auditorium, LAU Beirut campus, on April 12. The highlight of the festival is a site-specific performance In the Town in the Souks of Byblos. This art form involves creating a performance in relation to the location on which it is to be staged. In the Town will be the culmination of work between practitioner/researcher and Senior Lecturer in Dance at the University of Chichester, UK, Victoria Hunter and LAU Performing Arts and TV/Film students. “Victoria Hunter is the number one performer and specialist in site-specific performances,” Assaf said. Hunter will work with the students to create a film of the performances in the Souks. In comparison to site-specific pop-up performances held in 2018, this year they will be done for filming purposes. IDDFL focuses on multiple forms of physical activities in addition to dance. The diverse program includes gymnastics, yoga, and various types of athletic activities that help strengthen the body. 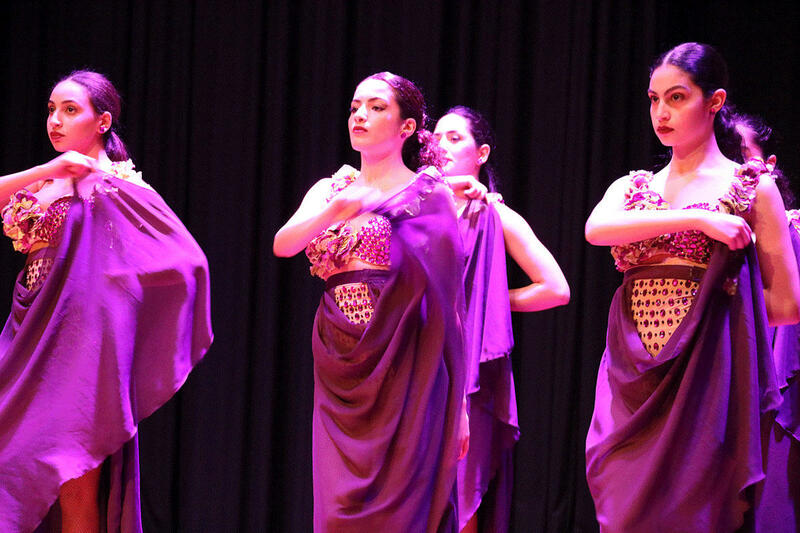 In addition, IDDFL is offering workshops on Spanish and oriental dance, dabkeh, broadway jazz, improvisation, character dance and creative movement. The classes are led by LAU instructors and international dance educators including Jessie Levey, founder, director and principal teacher at the New York-based Barefoot Dance Center, Associate Professor of Dance at Stockton University in New Jersey Rain Ross, dancer and choreographer Beau Hancock, Assistant Professor of Dance at Cal Poly University in California Christy McNeill-Chand, and Assistant Professor of Dance at the Texas Women’s University Matt Henley. The program also offers a series of lectures on injury prevention, navigating collaboration between visual artists, designers and poets, a historical look at dance in the Middle East, and combining dance with other art forms. For the first time, participants will receive certificates of participation based on the number of workshops they have attended. The festival has a following of some 300 students and teachers who attend the workshops each year, Assaf said. In line with this year’s theme, the IDDFL is also organizing a Wellness Day during which specialists on the ground, who will advise on healthy eating and skincare. “This will make the festival a total body experience, and not just about the physicality and the muscles,” Assaf said of the new addition. The IDDFL’s opening performance is made up of the dance community, Assaf said. “We send out the call to all the dance schools who, in turn send us little clips of their work, and we select the ones that are most appropriate to the theme. We then put them together for the opening ceremony in Byblos,” Assaf explained. Following the opening, the international guests hold an audition to select performers for the closing ceremony. For a week, they hold intensive classes with the participants, building up to the gala performance in Beirut. The IDDFL will run until April 12. The program can be accessed here.